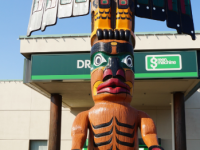 Master Carver Bill Henderson was commissioned to design and carve the artwork for Discovery Harbour Shopping Centre. 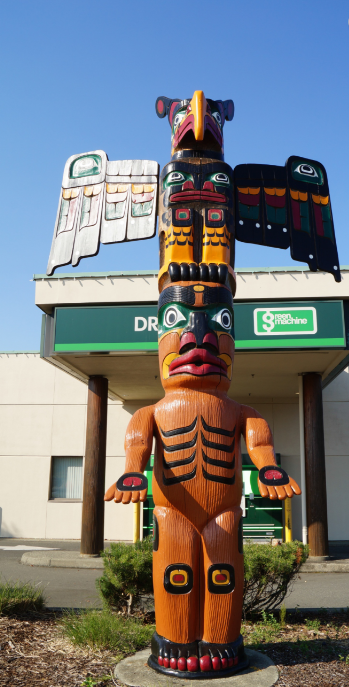 The carvings feature various animals and supernatural creatures from the histories and legends of the Wei Wai Kum First Nation. 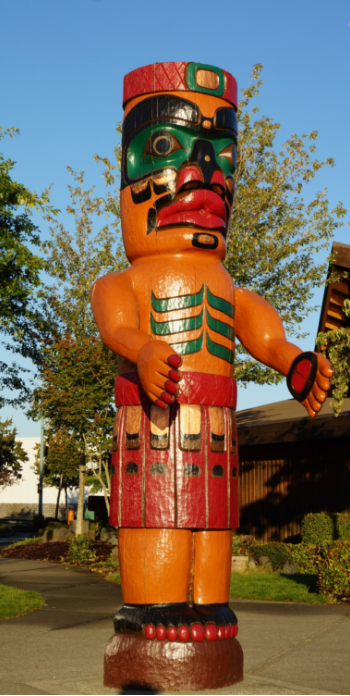 There are two welcome figures at Discovery Harbour. 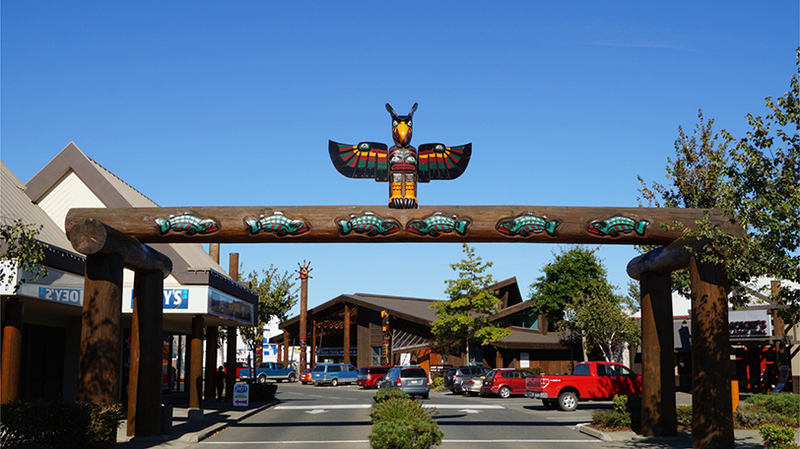 The first is located at the front entrance to the shopping centre, facing the highway. 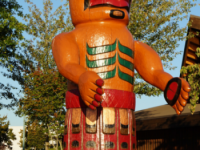 The welcome figure, holds its arms out, greeting travellers. This one features a Thunderbird: a symbol of power, and one of the main crests of the Wei Wai Kum Nation. 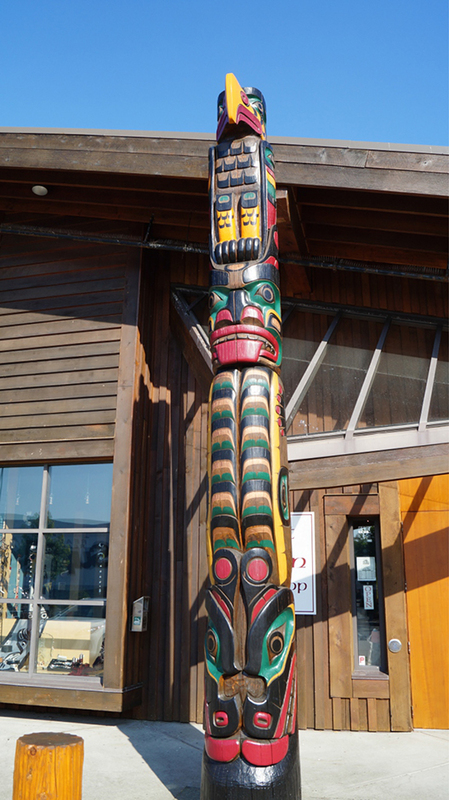 The second welcome figure is located behind Moxie’s restaurant, facing the ocean. This figure is dressed in ornate clothing. 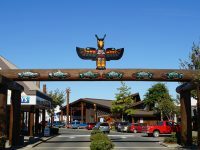 The archway features a school of Salmon swimming below a Thunderbird, symbolising prosperity and power. 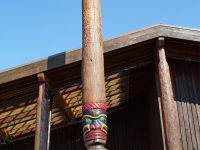 There are three totem poles in front of the House of Treasures building– which is a modern design of a traditional Big House. 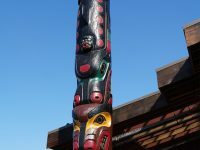 The first totem pole features a bear with a salmon, next a killer whale with the face of Bubble Man in the blowhole, on the top is Kolus, little brother of Thunderbird. 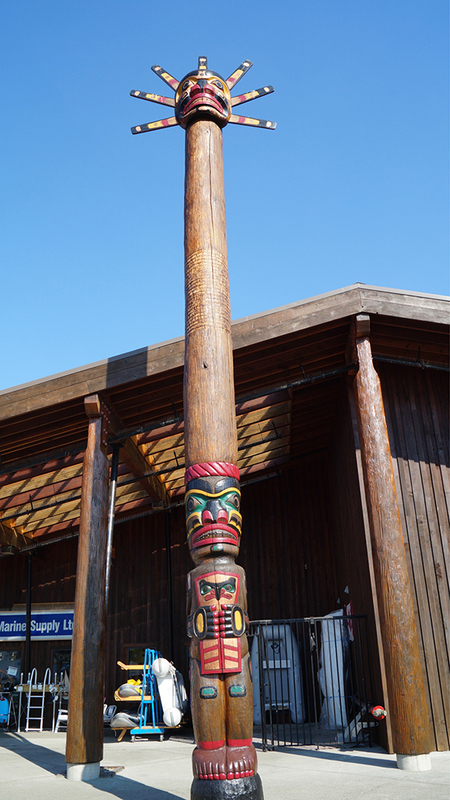 The second totem pole is the tallest in Campbell River. 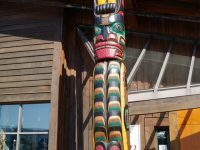 It is a Chief holding a copper with the sun towering above. 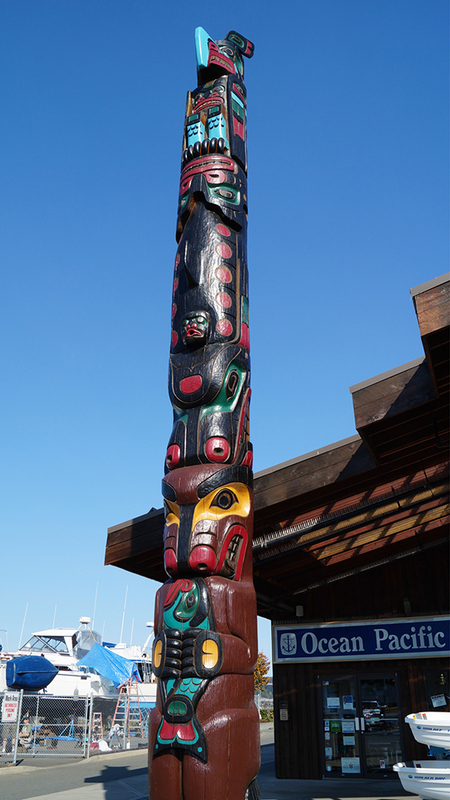 In 2013 Bill Henderson’s nephews, Mark and Junior Henderson, were commissioned to refurbish these artworks and bring them back to their former glory.